We’d love your help. Let us know what’s wrong with this preview of Forbidden Love in the Land of Sheba by Qais Ghanem. To ask other readers questions about Forbidden Love in the Land of Sheba, please sign up. When Hana's husband died in the Intensive Care Unit after a massive brain hemorrhage, she stood to inherit several million dollars in his overseas accounts. Why did she plead with her cousin Farook to help her leave Yemen in a hurry? And why did he take all those risks to smuggle her out of the country? This book was hard to put down. It made me aware of issues that I had previously only understood peripherally. I felt for the characters and the story. I recommend it! As always, Qais Ghanem wrote his third novel, in smooth easy-flowing language. Once you start reading, you’ll find it very hard to stop, for wanting to know what happens next. Forbidden Love in the Land of Sheba exposed the hypocrisy of the majority of the descendents of Sheba, especially the rich and privileged, such as those occupying high positions in government or the armed forces. They use Islam as a cover-up. Every Friday, you will see them in the front rows of the mosques, and they appear to fast the month of Ramadan. But behind closed doors or when they travel abroad, especially to liberal democratic countries, they are mere beasts who eat excessively, drink heavily, and breed like rabbits. Dr. Farook has a problem. Actually, he has several problems, and they are all conflicting his very stable (and sometimes naïve) sense of being. He is a good son, a good cousin, a good friend, a good doctor, a good Yemeni, and a good Arab, perhaps not all in that order. He tends to look at the world, his world in the very Arab, very Muslim country, the Republic of Yemen, situated on the southern tip of the Arabian Peninsula through tinted lenses, hoping to see the good that he grew up believing e Dr. Farook has a problem. Actually, he has several problems, and they are all conflicting his very stable (and sometimes naïve) sense of being. He is a good son, a good cousin, a good friend, a good doctor, a good Yemeni, and a good Arab, perhaps not all in that order. He tends to look at the world, his world in the very Arab, very Muslim country, the Republic of Yemen, situated on the southern tip of the Arabian Peninsula through tinted lenses, hoping to see the good that he grew up believing existed. It is a difficult country to live in, even at the best of times. Yet, after extensive studies in the United Kingdom, Dr. Farook, an eye specialist, has chosen to return to the land of his birth. Perhaps it wasn’t such a wise decision. All of the goodness that Dr. Farook seeks comes clashing at various intersecting angles. There are dire consequences for making a wrong decision, even if the decision made is really for the good of all and the good of the doctor’s conscience. The poor man is beside himself in knowing what to do. Family is important in Yemen, but is it important enough to go against all that you believe? Dr. Farook has one view of the teachings of the Qur’an. Others obviously disagree with him. His conscience and his beliefs dictate one road to follow, but, in reality, shocking as it may be, the good doctor sometimes does turn a blind eye, even to his own misdoings. Yemen is a country, a republic that is full of corruption: smuggling, drug deals, illegal human organ harvesting, human trafficking, gang rapes and much more. How is a simple man like Dr. Farook supposed to maintain his balance and his good conscience? When all around him are corrupt and evil? And then there is his beautiful cousin! Qais has written a compelling novel of suspense and subterfuge in the land of Sheba. He mixes his knowledge of medicine, his compassion and concern for the land of Sheba, the land of his birth, his understanding of the Qur’an with a simple love story. With vivid description and interesting dialogue, the author not only teaches us what he knows, he also leads us through an action-packed mystery with a sprinkling of romance. 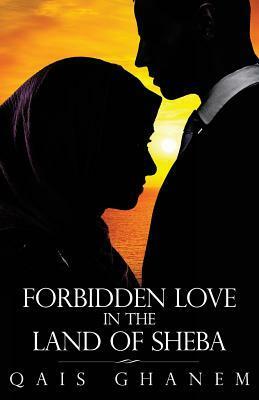 Forbidden Love in the Land of Sheba might be a shocking revelation to some readers, but it is also a real eye-opener to the corruption behind closed doors in a land and in a religion that vehemently forbids such goings-on. Perhaps, though, we shouldn’t be so shocked. Many of these things can and do happen in the so-called developed countries of our world. This book challenges us to take a look at our own communities, as Dr. Farook looked at his, with wide-open eyes. We need to learn what is going on. Can we stand by and do nothing? Can we leave? Or, is there any point in leaving behind something that may be found almost anywhere else in the world? Ghanem leaves us to ponder this dilemma. Review by Emily-Jane Hills Orford, award-winning author of The Whistling Bishop and F-Stop: A Life in Pictures. Her stories have appeared in History Magazine, Canadian Stories Magazine, and Western People. She has written ten fiction and non-fiction books: Spring, Summer, Autumn, Ukulele Yukon and others. President, 2014 Canadian Authors Association - NCR. QG was born in Aden, at the time a British colony, now part of Yemen. He has lived in Britain, USA, Qatar, The United Arab Emirates, and moved to Canada 47 years ago. Edinburgh University graduate in medicine. Trained in public health, later specialized in neurology. Elected president, Canadian Society of Clinical Neurophysiologists x3 y. Retired 7 President, 2014 Canadian Authors Association - NCR. Retired 7 years ago, and took up writing. First novel is FINAL FLIGHT FROM SANAA, now available in e-book and in Arabic. Then TWO BOYS FROM ADEN COLLEGE, the name of the high school he attended, in paper and e-book. Latest novel is FORBIDDEN LOVE IN THE LAND OF SHEBA, and ancient name of the region of Yemen and the horn of Africa. He published his collection of his poems in a book, which is unique in that it combines Arabic and English poems which are not translations of each other. Co-authored a non-fiction book: MY ARAB SPRING MY CANADA. Latest e-book, in about the Arabs and Islam: Hiwar Bidoon Khisam an Al-Arab wal Islam, at Smashwords.com. Dedicates time to human rights and gender equality, and his novels, based on real or imaginary events in Yemen, are all about gender equality. Co-chair of the 2017 Ottawa Peace Festival. Winner of the Order of Ottawa medal 2014. His radio show "Dialogue with Diversity" won 4 national awards. In 2015 was named among the 25 top immigrants to Canada.